Congratulations! Your baby has been born! You are relieved, excited, apprehensive but mostly exhausted. You were really looking forward to getting your body back but even though the baby bump is no longer there, you still don’t recognise the person you once were. That’s not just the physical you but also the emotional you. The past nine months were spent looking after yourself and the bump inside your tummy. If you’re a first time mum then you had all the time in the world to pamper yourself and if not you still would’ve managed some ‘me’ time. Now the focus has swiftly shifted from you, the expectant mother, to this beautiful bouncing bundle. You’re exhausted and no wonder – the strain of nine months pregnancy, not to mention childbirth are very apparent. You stand in front of the mirror and assess the ‘damage’ from the front, back and sides. Many of you don’t like what you see and others simply don’t recognise what they see. Let’s look closer beyond the extra pounds which will go, with time, and shouldn’t be the main reason to undertake any postnatal exercise. Your posture on the other hand, does need urgent attention. Stand sideways and look in the mirror. Your pelvis is tilted forward, your buttocks are sticking out and your belly falls forward. This is due to the exaggerated curve of your lower back created by the weight of your growing baby inside your uterus. Your baby is now out, but you are left with overstretched stomach muscles and shortened lower back muscles. The muscles around the hips will become very tight as these will now be the main muscle group used in walking. Unless the muscles are rebalanced this will lead to backache, and pinched nerves. Your pelvic floor will be difficult to re-strengthen due to pelvic misalignment (this will be covered in more detail in Part 2). Your body cleverly compensates to try and realign by dropping your chin to a position which is not neutral. Your upper back and neck muscles have to work overtime to maintain this position causing upper back strain, neck and jaw pain and headaches. Your shoulders will be rounding forward and your chest folding in. This is partly due to the repositioning of your head and partly due to the extra weight of your baby and breasts. This rounding of your shoulders now continues as you sit and nurse/feed your baby every couple of hours. The human spine is unique among all mammals. It has 2 kyphotic curves – the thoracic spine (upper back) and sacral spine (tailbone) and 2 lordotic curves – the cervical spine (neck) and lumbar spine (lower back). It acts as a pillar to support the excessive weight of the skull while protecting the spinal cord. It is this curvature of the spine that helps it distribute weight evenly. 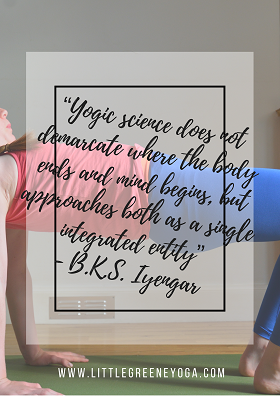 These curves are now out of balance – no wonder you’re physically exhausted and feel you can no longer carry the weight of your own head! In summary, your post-natal posture has excessive curvature in the thoracic, lumbar and cervical spine. This is not as depressing as it sounds. 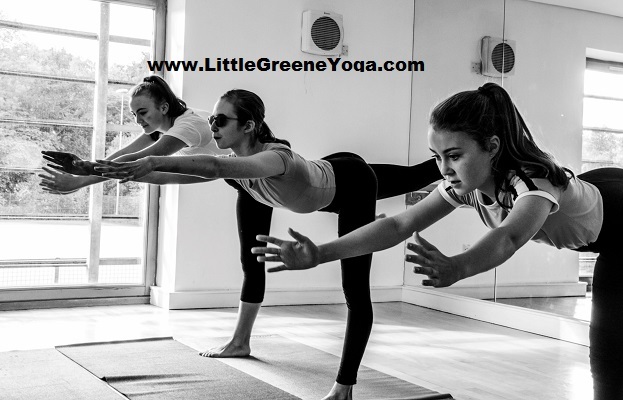 The following yoga based programme is designed to stretch your tight muscles (chest, lower back & hips) and restore tone to those that are over-stretched (abdominals). Simply, the programme is designed to return your body to its pre-pregnancy posture. Once familiar, the complete programme should take about 20 minutes. 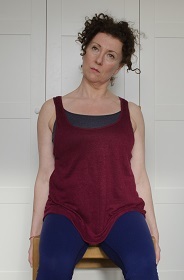 Postures can be performed on their own, at any time of day, or in the order given. 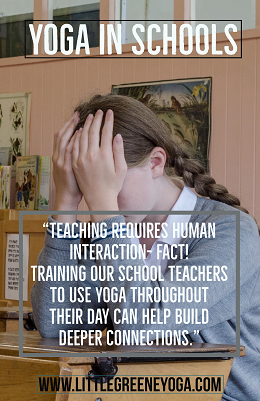 There’s no need to roll out a yoga mat and no yoga experience is necessary. Each will open your chest providing fresh, oxygenated blood to your brain helping you feel better and more alive – the prefect programme when there’s no me time! 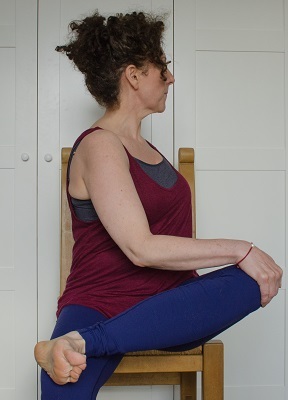 (opens chest, releases neck muscles and pelvis while lengthening back muscles) This is the go to pose if shoulders or lower back are aching or there’s no time for anything else! As above, now activate the tummy muscles while breathing out by pulling navel towards your spine. 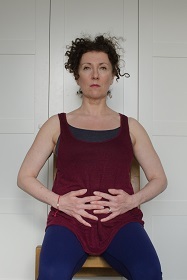 Repeat above in 6 counts – each count draw the navel a little closer toward the spine. Kneel in front of chair, place elbows on chair seat, shoulder distance apart. Move knees back until body is parallel to floor and knees directly under hips. Breathe in and as you breathe out drop right ear directly towards right shoulder. Hold for around 30s while maintaining even breathing. Bring right knee towards chest, let the knee roll out to the right and place right ankle on left knee. 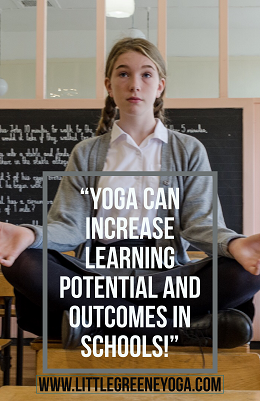 Veronica Greene founded Little Greene Yoga® and offers a Certified Teacher Training packages for Children Yoga (3-8yrs & 8-12yrs), Teen – Mind & Body and Postnatal Yoga.